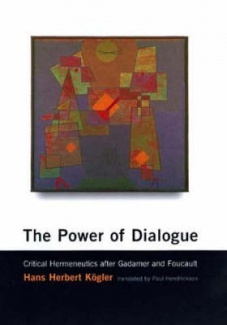 Exemplifying a fruitful fusion of French and German approaches to social theory, The Power of Dialogue transforms Habermas’s version of critical theory into a new “Critical Hermeneutics” that builds on both Gadamer’s philosophical Hermeneutics and Foucault’s studies of power and discourse. 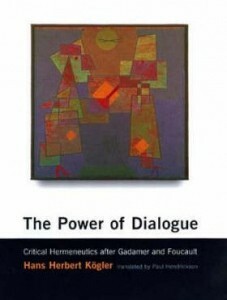 Kögler argues for a middle way between Gadamer’s concept of interpretation as dialogue (which has been faulted for its strong focus on the agent’s own self-understanding) and Foucault’s conceptualization of the structure of discourse and the practices of power (which has been faulted for neglecting the role of individual subjectivity and freedom in social interaction). At the book’s core is the question of how social power shapes and influences meaning and how the process of interpretation, while implicated in social forms of power, can nevertheless achieve reflective distance and a critique of power. 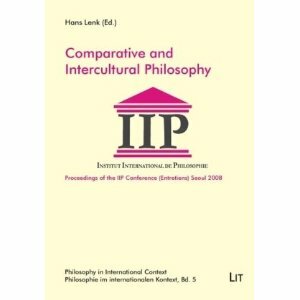 It offers an original perspective on such issues as the impact of prejudice and cultural background on scientific interpretation, the need to understand others without assimilating their otherness, and the “truth” of interpretation. Introduction: the project of a Critical Hermeneutics. 3.3 The question of critique. 2 Hermeneutic reflexivity and dialogic subjectivity – the critical self.